A major gift-giving deadline of the year (well, the major one after a person’s birthday, for some) is upon us once again and you’re about to screw it up. To make sure that you don’t, we’ve combed through successfully-funded Kickstarter campaigns for portable items (our specialty) that are now for sale and should still ship in time for Christmas. Below are five of the more interesting and varied options that so far have survived outside of Kickstarterville, in no particular order. 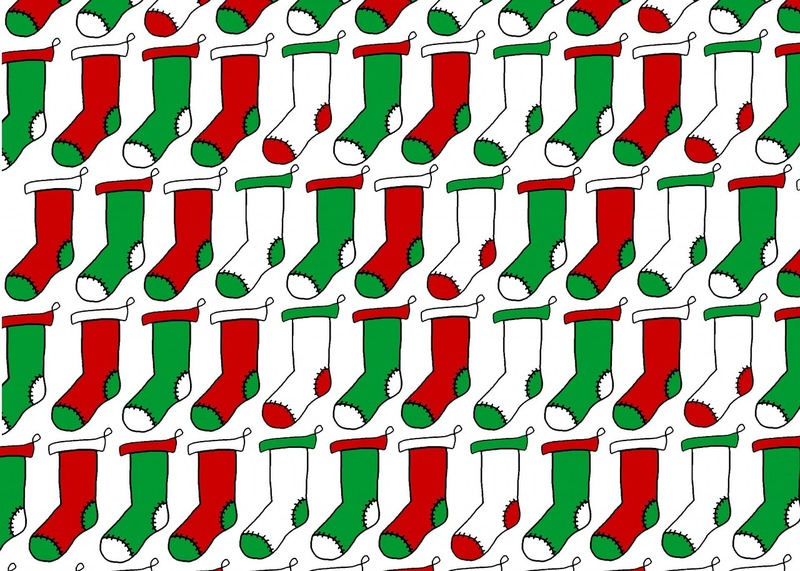 Get moving, you’ve got some stockings to stuff, and we don’t mean in your pants. “Foldable.Me” by Mint Digital and CubeeCraft: Yeah, that someone special in your life has an avatar, but do they have an awesome miniature physical version of themselves made out of cardboard? Didn’t think so. Get one made for them. You design it and Mint Digital prints it and ships it from the UK. 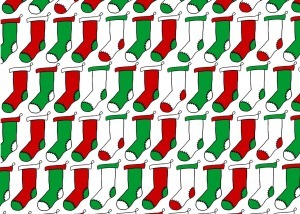 Fold the precut, scored cardboard into place without the need for any office supplies like scissors or glue, and stuff that pretty little thing into the recipient’s stocking, then watch them squeal with glee when they notice themselves looking back at them. Pssst…you can even add a hidden message on the bottom of the figure when you place your order. Customer service has informed us that it should arrive stateside in five days (even though their web site states two weeks), meaning that you have, like, now, to design one and submit your order, but keep in mind the time difference between the US and the UK. It is also holiday season, so hey, if it isn’t going to make it in time, you can always print out what you’ve done and stick that in the stocking instead in place of the real one soon to arrive. While you’re at it, order one of your favorite author, royal figure, or actress (just sayin’). This is the original Kickstarter campaign page for “Foldable.Me”. 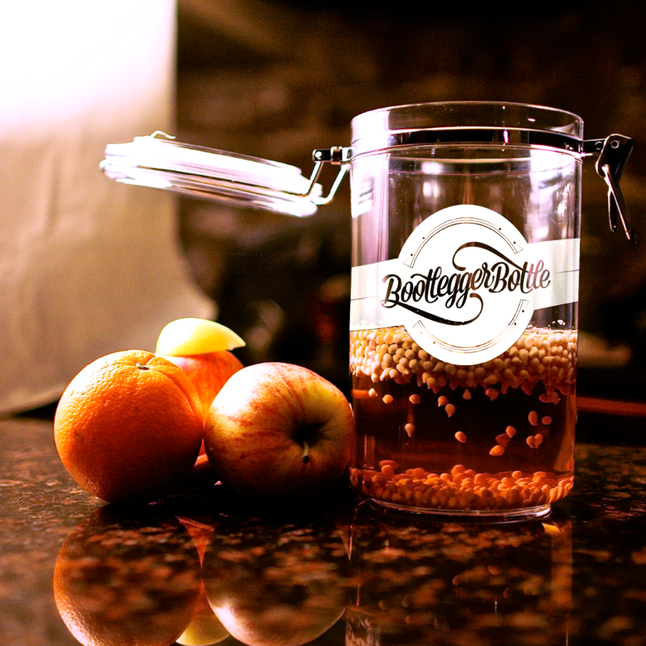 The “Bootlegger Bottle” by Ruckus Fermentation: It’s a portable, reusable, safe brewing system that ferments alcohol fit for consumption in less than a freakin’ day. What the hell else do you need to know?! Ah, yes, three-day shipping is included. Order a case on its Squareup Market Page (don’t try to order from the Ruckus Fermentation site – the order link is broken) so that you can give one to each of your buddies. This is the original Kickstarter campaign page for the “Bootlegger Bottle”. The “Chess Squared” Foldable Chess Set by Queen Squared: Know someone who likes chess (or checkers for that matter)? Make it even easier for them to start an impromptu game while on-the-go no matter the park, cafeteria, or airport. These sets are hand-made in the US from repurposed fabric, hemp, and wood, to boot. The 1′ x 1′ board folds up into a 6″ x 6″ square with an outside pocket for the flat, glazed clay pieces. That’s a checkmate. Sets should arrive within 1-3 days after order placement via USPS Priority Mail. 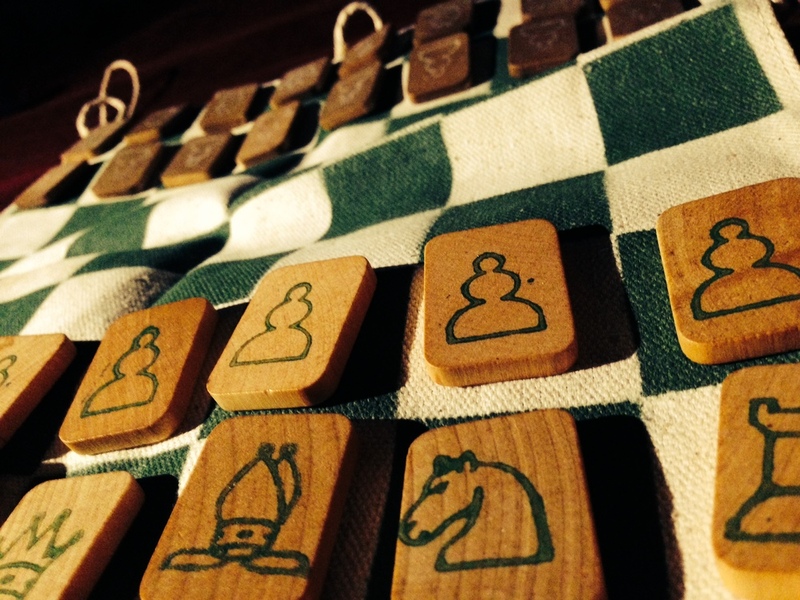 This is the original Kickstarter campaign page for the “Chess Squared”. 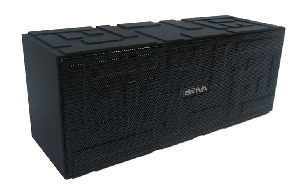 The “AudioFlow BigSound” Bluetooth Speaker by Skiva: We know, another portable, rechargeable bluetooth speaker, who gives a s@#$. But this one has a built-in microphone for hands-free calling. This one is 15W and up to 111+dB of ear-banging, louder-than-the-rest sound with over 8 hours of playtime at full volume before a recharge is needed. Enable the recipient to throw a rager with less bulky equipment and still answer the phone when it rings…using the speaker. All we can say is we hope they don’t get fined for a noise violation. Shipping time appears to be three days. This is the original Kickstarter campaign page for the “AudioFlow Bigsound”. The “Xminilab Portable Oscilloscope” (what the hell is this thing anyway?!) and the “IceMule Cooler” (huh? ): For this last one, we couldn’t decide between insane geekdom and more run-of-the-mill, so here are both. We know, we said five stocking stuffers and we’re giving you six. We’re liars, what’re you gonna do about it? Play with your oscilloscope while enjoying a tasty microbrew from your ridiculously portable cooler in the parking lot outside the latest Hackaday conference, that’s what. 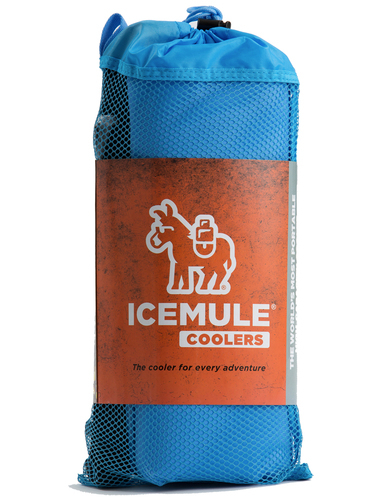 Resembling a dry bag, the foam-insulated, leak-free “IceMule” let’s you haul ice for up to a cool 24 hours. 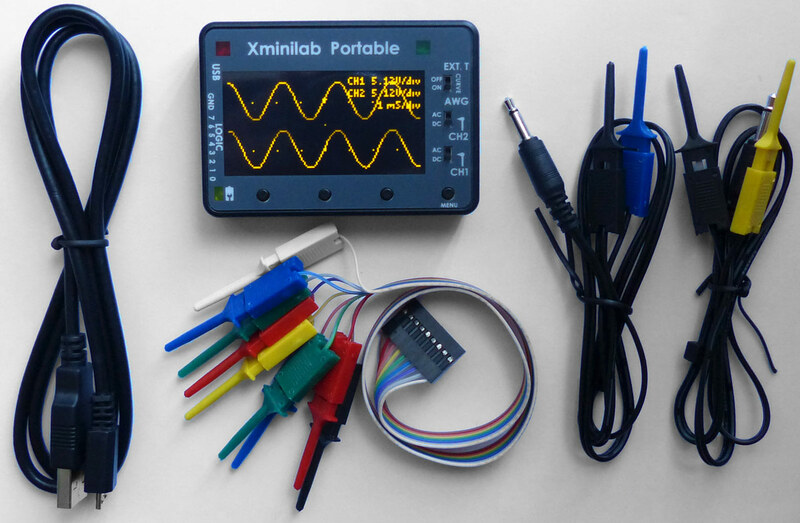 The rechargeable “Xminilab”, resembling an alien communication device, is a combination logic analyzer, oscilloscope, and arbitrary waveform generator with an extended feature set that includes the ability to sample simultaneous signals, sniff the SPI, I2C, and UART protocols, and perform channel math, among many other things. If someone close to you needs to do some hardware hacking, sniff some protocols, or generate some waves while on the move, or if someone in your life is tired of buying those stupidly wasteful styrofoam coolers at the grocery store on while traveling ‘cause they couldn’t bring their hardshell ones from home (or because a bulky plastic cooler doesn’t pack in well on those camping or kayaking trips where a lot of walking is involved), consider one of these items (or both) as a stocking stuffer. Oscilloscope shipping time is not exactly know but it ships within three days of your order via USPS. For the cooler, different shipping options, including expedited shipping, are available. This is the original “Xminilab” Kickstarter campaign page and this is the original one for the “IceMule”. Now put those cookies down and get it done, Santa.